Cavin’s Business Solutions, Inc. Merges With Dex Imaging, Inc. | Industry Analysts, Inc.
DEX Imaging, Inc., the largest independent dealer of document imaging and data management solutions in the eastern United States, is pleased to announce the acquisition of Cavin’s Business Solutions, Inc., a Kyocera (Copystar), Konica and Xerox dealer with offices in Fayetteville, Greenville, Jacksonville and Wilmington, NC and additional service coverage in Charlotte, NC, Columbia and Charleston, SC. DEX Imaging is the largest independent dealer of document imaging equipment and content management solutions in the eastern United States, with 2017 revenues exceeding $250 million. 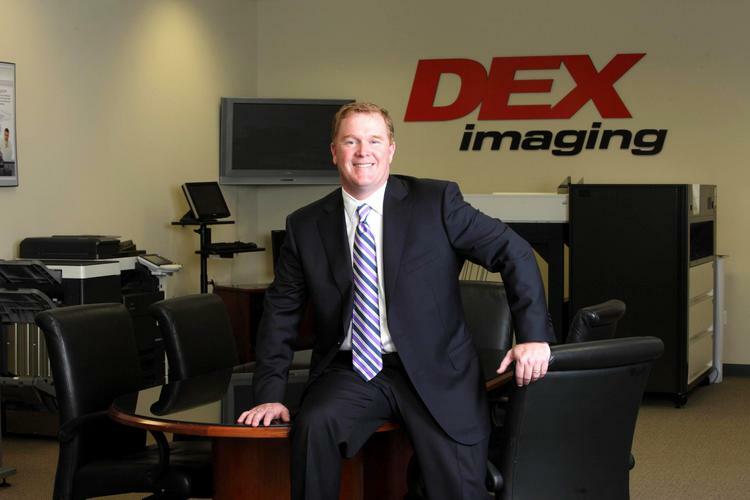 Founded in 2002 as a single start-up operation with only 8 employees, DEX Imaging has grown to 38 branch locations with over 1,300 employees, and has rapid expansion plans to become the preeminent independent office imaging dealer in the United States by 2020. DEX Imaging’s success is directly tied to its mission, which is to provide the best customer service in the industry. This entry was posted in DEX Imaging and tagged Cavin’s Business Solutions, DEX Imaging by IA Staff. Bookmark the permalink. Next → Next post: Compass Announces New Feature to Pull ERP Pricing into Sherpa!